NextTart Cherries: Helpful to Sleep but Harder to Find? 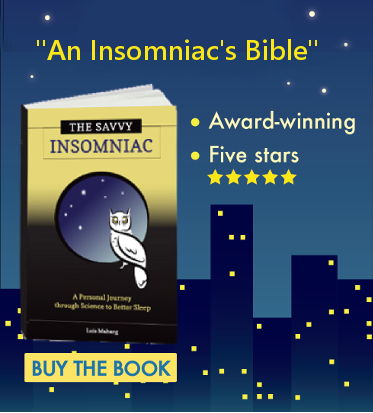 Only a minority of the insomnia sufferers I interviewed for The Savvy Insomniac said their insomnia began in childhood. But regardless of when their sleep problem began, a number reported having had stressful and/or abusive experiences in childhood. Is there a relationship between adverse childhood experiences and insomnia later in life? Anecdotal and scientific evidence suggests there is. I have my suspicions that my trouble sleeping goes back a long, long way. My mother and father had difficulties and they fought a lot, and that made me anxious. I don’t think I feared for myself so much as I felt a general anxiousness about the disruption. Then I had a brother who was 6 years older than me and was always getting into trouble. He grew up with his father away in Egypt during the war. All of sudden he was 6 years old and he had a father and there were major problems between them. That was another disruption, another source of anxiety for me. I experienced severe childhood abuse—physical, emotional, and sexual abuse. It started when I was young and continued a long, long time. It happened early in the morning. When I wake up early now, and I often do, there’s frustration that I’m not able to sleep because I’m vigilant, I’m unable to relax. I’m pretty sure the childhood abuse is the source of my sleep difficulties. Adverse childhood experiences (ACEs) increase people’s susceptibility to health problems later in life. The relationship between ACEs and mental illness, substance abuse, and heart disease is well documented. A recent literature review conducted by Harvard researchers shows that children who experience trauma are also more vulnerable to sleep disorders as adults. In a retrospective study of data collected from 17,337 HMO members, trouble falling and staying asleep was significantly associated with several types of childhood trauma: (1) physical abuse, (2) sexual abuse, (3) emotional abuse, (4) witnessing domestic violence, (5) household substance abuse, (6) household mental illness, (7)parental separation or divorce, and (8) household member imprisonment. In a subsequent study, the authors found these same ACEs to be associated with frequent insufficient sleep. In a longitudinal study, children who experienced family conflict between the ages of 7 and 15 were more likely to report insomnia at age 18. Among women overall, there was a strong association between childhood sexual abuse and sleep disturbances reported in adulthood. Among 39 insomnia patients, a history of abuse and neglect explained a moderate amount of variance in sleep onset latency (39%), sleep efficiency (37%), number of body movements (40%) and moving time in bed (36%). Among 48 psychiatric outpatients, childhood stress load was a correlate of total sleep time, sleep latency, sleep efficiency, and number of body movements. People who experienced 1 to 2 ACEs were twice as likely to report poor sleep quality as people with no ACEs. People who experienced 3 to 6 ACEs were 3.5 times as likely to experience poor quality sleep as people with no ACEs. As the number of ACEs went up, so did the prevalence of insufficient sleep. Clearly adverse childhood experiences make it more likely that people will develop chronic insomnia or insomnia symptoms in adulthood. I did not experience familial abuse or neglect. I’m guessing, though, that the bullying I experienced one year at school increased my susceptibility to insomnia . . . but that’s a topic for another blog post. How about you? 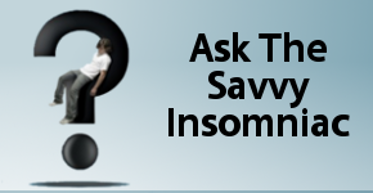 Do you think there’s a link between your trouble sleeping and adversity you experienced in your youth? Absolutely! This is on point and something I have discussed with my psycho-pharmacologist who prescribes my sleep meds. I grew up witnessing extreme bout of domestic violence with an alcoholic father. We never knew if he would come home from work drunk or not. Further, my earliest childhood memory was of him breaking my crib in a drunken rage. I slept in my parent’s bedroom (we were very poor and had a tiny house) on a cot, no less, until I was about 5 or 6. I can’t imagine what my childhood self went through having to sleep in the same room as my reckless father and abused mother. It was harrowing to say the least. I have been plagued by sleep problems since I was a teenager. I am 48 now. I’m so sorry to hear of the abuse you were subjected to repeatedly as a child. It sounds just awful. Your alcoholic father’s behavior toward you and your mother likely set you up for the sleep problems that began in your teens. I wonder then how those of us now dealing with the effects of stress and trauma in childhood can best deal with the sleep problems the has created. What have people done that is helpful.? I know that when I do manage to sleep I get bad nightmares and the fear of those child based nightmares serves to avoid deeper sleep when such nightmares may arise. My insomnia began as a child, I can remember it from about age 7. The abuse in my household was mostly emotional, only occasionally physical. I used to be plagued by nightmares, but I got over that through therapy many years ago when I was in my mid-30s. It wasn’t the focus of the therapy, but a happy “side effect”. I did CBT-I (with sleep restriction) about 6 months ago and my insomnia has been a non-issue since then, and I also take 5-HTP before bed which seems to lessen my worrying and ruminating. The sleep restriction was a tough few weeks, but definitely well worth it! Like Jenn, I can say that weekly talks with a therapist helped me work through some of the negative experiences I had in childhood. I stuck with therapy for quite a few years. And now, the experiences that haunted me for so many years don’t bother me any more. But undoing the changes that occur in the brain and the body as the result of chronic stress—changes that make one more vulnerable to sleep problems and other health problems—that seems harder. Now, to manage stress and my sleep, I rely on exercise and sleep scheduling, which I learned and benefited from when I went through CBT for insomnia. Occasionally, I take half a sleeping pill. I can’t speak to the issue of nightmares. I’m guessing that, too, would be something to address in therapy. Best of luck. Coincidentally this just came up in therapy. I’m 54. I know I’ve had trouble sleeping since i was a child. No sexual abuse but being the youngest of four, all born within 8 years was difficult for everyone. I seemed to suffer the most with insomnia throughout most of my life. We all endured our Father’s sudden death, when we were of the ages 7, 9, 13 and 15. He died right in front of us. It sounds silly but I saw the original “Little Shop of Horrors” on late night TV. I think it was just after my Father died and it traumatized me even more. I slept with a full light on, after my Father died, until I was well into my late teens and I started again when under stress when I was in my early twenties. I had my first panic attack at the age of 14. Then there was the awful confusion when an uncle tried to commit suicide, he was never right again, when I was 15. There has been other trauma as well so I cut myself a break when It comes to needing a sleep aid. It’s harder to convince doctors who haven’t lived through my lower middle class nightmare where I wasn’t abused; just a bullied, traumatized baby of the family who was exposed to way to much at a young age. Thanks, Maggie, for sharing your story. These days, lots of doctors shy away from prescribing certain medications for sleep and anxiety—meds they worry will create bigger problems than patients already have. It seems like these doctors can’t quite grasp just how hard it is for people with severe sleep problems or severe anxiety to manage without the assistance of pills. Sure, it’s always better to manage health problems by changing behaviors and attitudes. Yet in some cases, behavioral changes and changes in attitude just don’t get us where we need to be.